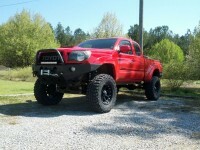 Post Tagged with: "custom toyota tacoma"
A Tacoma So Hot It’s Named After a Fire Spitting Mountain! Each year, the Specialty Equipment Manufactures Association show brings out the very best in custom and out-of-this-world trucks. 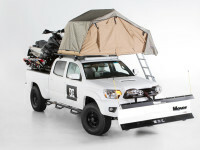 This year, DC Shoes has built a very cool and unique Toyota Tacoma. A custom Toyota Tacoma Dually was recently spotted on a local interstate and we have the video to prove it. Check out this truck!